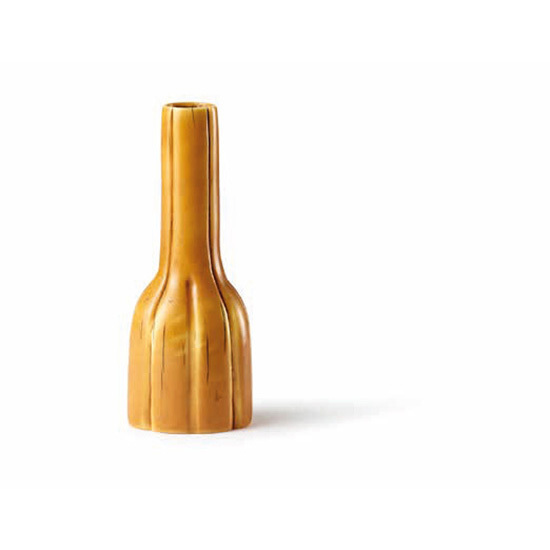 The ivory tool vase is of eight-lobed section with a long elegant narrow neck and a flat base. The vase is patinated to a warm yellow tone. A similar example of a lobed vase is published in Chinese Ivories from the Shang to the Qing, 1984, p. 165, Catalogue No. 210.